Many of the most successful motorcycle builders—the ones running a solid, profitable business—hit on a formula. It’s usually a combination of looks, components and fabrication that works well, and can be endlessly tweaked. That’s the approach taken by AC Sanctuary, one of Japan’s most renowned builders. 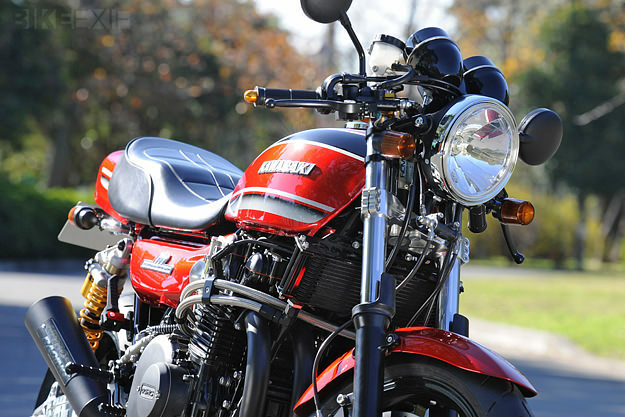 Their bikes are a masterclass in proportion, stance and performance. And although they’re expensive, a lot of people are prepared to pay the price. The AC Sanctuary ‘Real Complete Machine’ concept strips a 70s muscle bike back to its component parts. It effectively gives you a ‘new’ motorcycle, as highly finished as one you’d ride out of a mainstream dealer showroom. 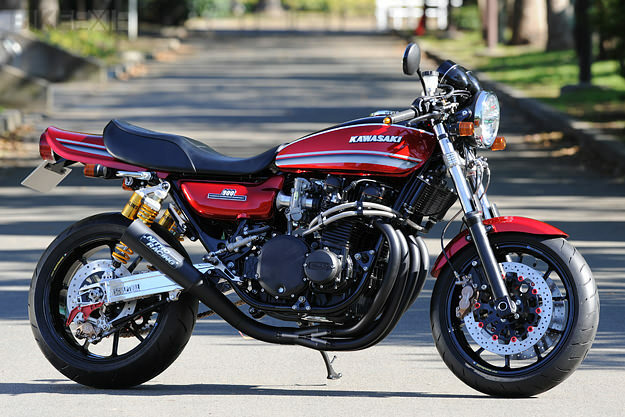 This is the very latest build, RCM-242—a Kawasaki Z1 that would stop the traffic more than any contemporary MV Agusta. The work is extensive, starting with a heavily modified and reinforced frame with a new chain offset. 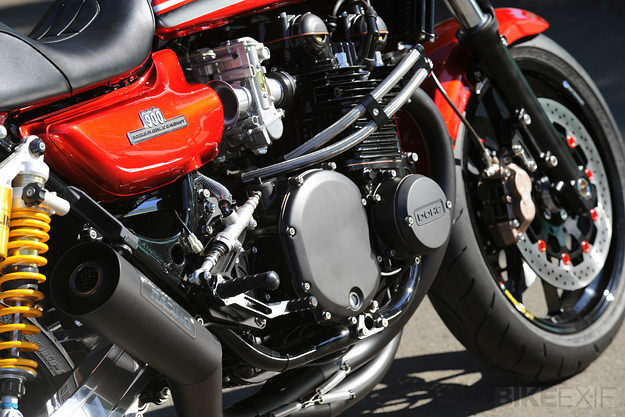 The steering neck, swingarm and bars are proprietary AC Sanctuary items. Handling is elevated still further by a fork from a ZRX1200, and the lightweight 17” wheels are Marchesini. The blueprinted Z1 motor now breathes through Mikuni TMR 36 carburetion. It’s hooked up to a gorgeous Nitro Racing hand-bent steel megaphone exhaust system. The brakes are distinctly modern, with Brembo calipers, Nissin master cylinders and Sunstar disks. 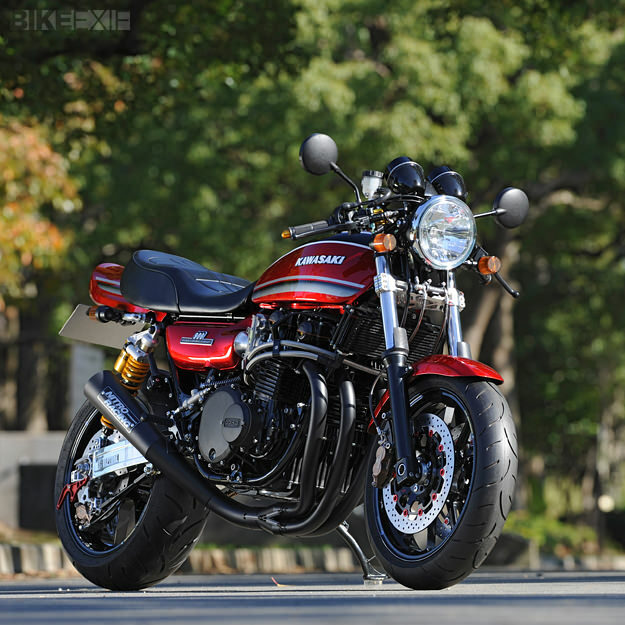 This Kawasaki Z1 costs ¥ 3.28m, which is around US$37,000. Will it give a modern superbike a run for its money on the racetrack? No. But 99% of the time, it’ll be more than adequate for a skilled rider. 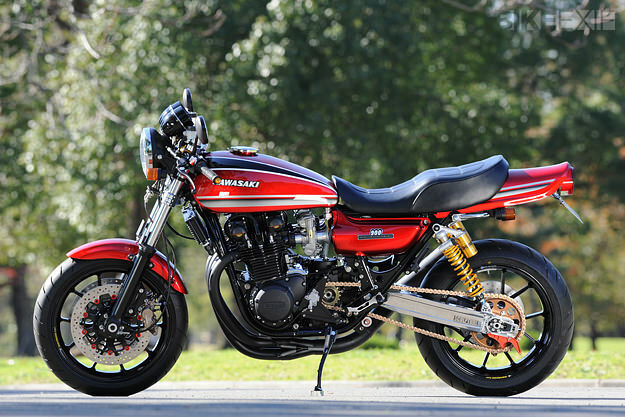 Given the choice between a resto-mod Z1 and a plastic-clad superbike, I’d take the Sanctuary machine any day. Would you?